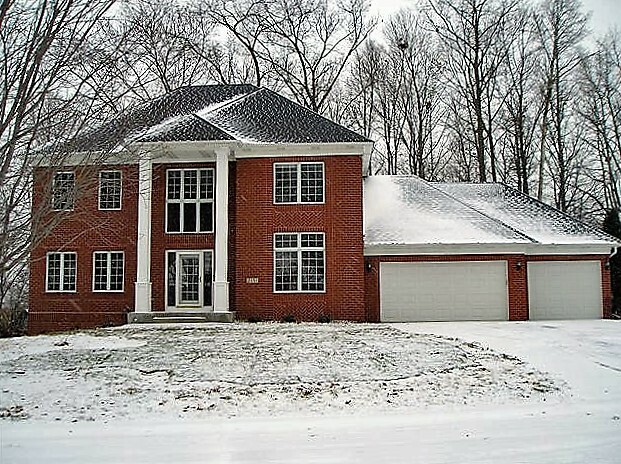 Stately two-story brick residence situated on a fabulous wooded lot in a lovely neighborhood. Welcoming two-story foyer, large open kitchen with breakfast bar, inviting family areas, spacious owner’s suite with his and hers closets, whirlpool bath and separate shower. Finished walkout lower level plus updates including beautifully refinished hardwood floors, fresh paint, new carpet and new front sidewalk. Three bedrooms on one level make this the perfect family home!